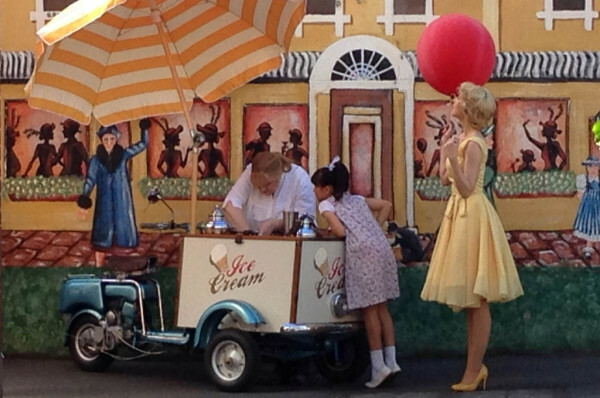 Add some extra flair and fun with our very rare 1946 working Ice-cream cart, one of five left in the world and the only one that is restored to serve ice-cream or gelato as they did in 1946 in Europe. 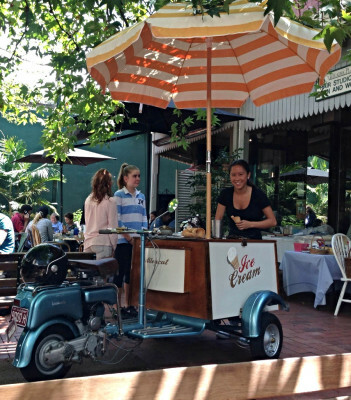 The ice-cream cart can be used at any venue and is sometimes used to provide ice-cream to guests while they wait and or arrive at specific locations. The cart is also brilliant for photos. We also can offer 'la-creperie' 1950's rare Lambretta crepe cart, where crepes are freshly made and served to guests. This is our newest addition to our classic range and is being displayed for the first time this year at the exhibition buildings due to it's rarity. The 'la-creperie' really creates a point of difference and ideal for outside venues to serve guests delicious crepes.